are musically talented. The best in Niigata for teaching children. Children are introduced to phonics through songs, activities, games, and beginning reading. 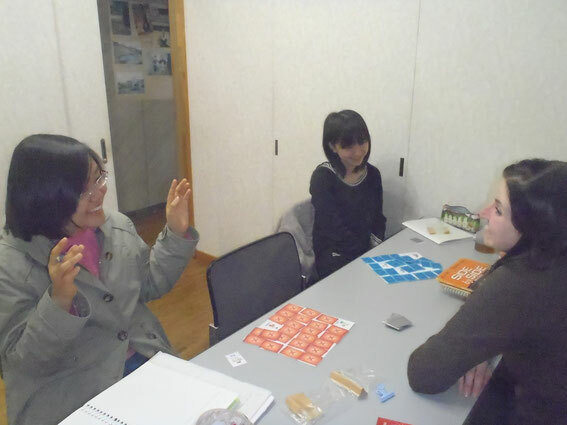 The LOFT's phonics program is unique and developed for the LOFT especially by American professional educators for teaching Japanese children who study English on average once a week. preparing them for more advanced accelerated "speed" reading. Go Book 1 in our phonics program. LOFT kids read and can do the homework independently. -Advanced Studies & High School Program- Children in our advanced Studies program use the same books used by American children. This is ideal for our rapid learners and returnees. If parents want their children to become advanced English speakers, if they continue in this program and they will be. LOFT student Kazu was ranked #1 in Niigata Prefecture for getting into Niigata High School. However, even though he got into what is considered to be the best high school in Niigata, he decided to quit Niigata High School and went to a better one in Tokyo. Kazu was a LOFT student continually from age 5. Currently, one of our long term English LOFT students, Shogo, is now studying at Tokyo University. He is now finishing up his doctorate in Physics. He is also involved in a satellite space program at JAXA.